Organisers of the 2022 Qatar World Championship in football have decided that seats by Forum Seating, a brand that belongs to Nowy Styl Group, will fill three more stadiums being built for the sports tournament: Ras Abu Aboud (40,000 seats), Lusail (design yet to be revealed, 80,000 seats) and Qatar Foundation (40,000 seats). The seats will be manufactured by Nowy Styl Group's partner in Qatar, Coastal Qatar. Cooperation between Nowy Styl Group, one of the European leaders in equipping office and public spaces, and Coastal Qatar began last year. 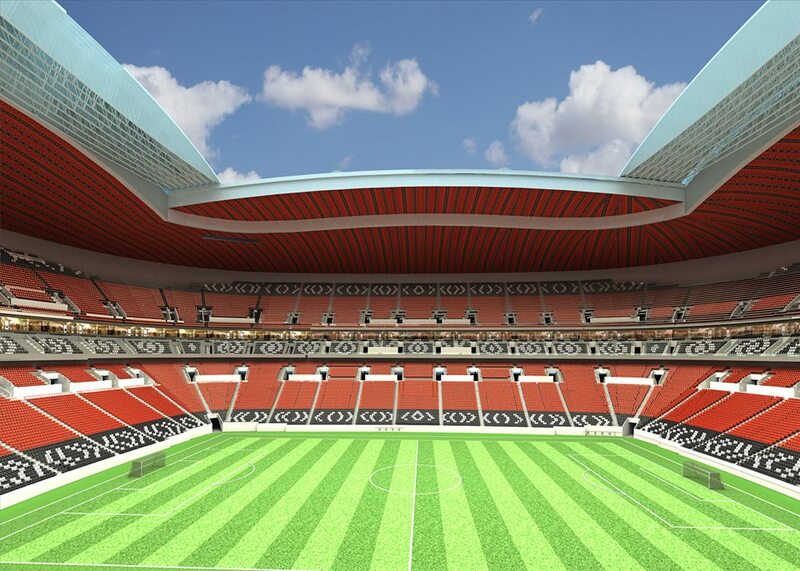 The Group gave Coastal Qatar a license to produce Abacus stadium seats and shared its technological know-how, supporting the construction of a modern factory and the launch of production in the Middle East. The Championship organisers on the Supreme Committee this time last year chose Coastal Qatar as the manufacturer of 140,000 seats for 3 of 8 stadiums for the 2022 World Cup in football. In late March organisers decided that three other stadiums – Ras Abu Aboud, Lusail and Qatar Foundation – will be equipped with seat models licensed by Forum Seating (Abacus and Omega) and premium seats manufactured in Poland (Oscar VIP, Abacus Gold and Silver). “Equipping three more stadiums with our solutions means huge commercial success, but it also confirms the effectiveness of our cooperation with Coastal Qatar. The technology transfer at the implementation of production, as well as the ongoing support for the factory, ensure the project is being realised at the global level; the seats manufactured in Qatar meet the highest quality standards. At the same time, we are also carrying out deliveries from our factories in Poland, which allows us to meet all deadlines.” says Jakub Rachfalik, Managing Director of Forum Seating. In addition to the folding Abacus seat models, the stands at the new stadiums will be equipped with Omega shell seats (the same seats the football fans sat on during the World Championship in South Africa). The Omega seats will be mounted directly to the metal structure, which will be part of the upper stands at the Lusail, Qatar Foundation and Ras Abu Aboud stadiums. After the Championship, the stands will be dismantled and used (whole or in modules) to create facilities for sports events in other locations. In this way, the Qatari Supreme Committee will contribute to the development of the whole country and support the development of sport in African countries. In total, seats by Forum Seating will be used to equip 6 stadiums being built for the 2022 Qatar World Championship in football. 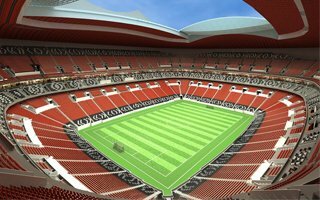 In addition to the stadiums already mentioned, the seats will be assembled at Al Bayt (60,000 seats), Al Rayyan (40,000 seats) and Al Wakrah (more than 40,000 seats). 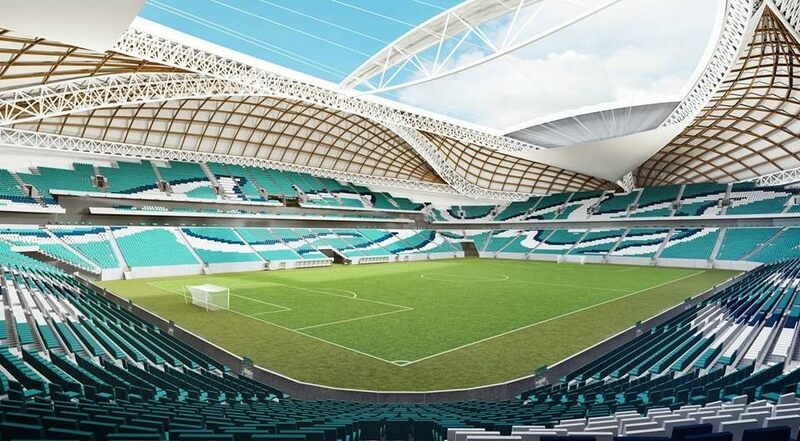 The project for the last stadium being built for the sports tournament ‒ Al Thumama – has not yet been settled. Each of the 2022 World Championship stadiums incorporates elements of Qatar's cultural heritage, nature and development. This architectural concept is complemented by projects involving the colour arrangement of the stands. “When arranging stands, it is key to understand the local conditions and create something exceptional. We suggested three colour concepts for the Al Wakrah stadium, referring to a traditional boat used by pearl divers. The first one, green and blue, reflected Qatar's nature (mangrove forests and sea water, the elements characteristic of the city Al Wakrah). The second one, brown and gold, combined the motif of a finishing boat with the dunes surrounding Al Wakrah” says Jakub Rachfalik.